Placentas are incredible organs. I always try to capture at least one image of the placenta at the birth of each of my clients. I find them to be beautiful and fascinating (I even have a couple of my own placenta prints from my last daughter's birth! ), but even for those who may not find them appetizing, there are many reasons to respect and admire them. Here are 7 interesting facts you may not know about your baby's lifeline! ...including Human Chorionic Gonadatropin (hCG), which stimulates the production of estrogen and progesterone, is associated with morning sickness, and is the hormone detected by pregnancy tests to produce a positive result. Estrogen, which is responsible for increasing blood flow and stimulating uterine growth, as well as the growth of breast tissue. Progesterone, which maintains the uterine lining for successful implantation and the support of a pregnancy. Human Placental Lactogen, responsible for speeding up the mother's metabolism to keep up with the energy requirements for growing a baby. The placenta also secretes Insulin Growth Factor (IGF-1) responsible for the development of Gestational Diabetes in some women. ...acting as baby's lungs to supply oxygen, kidneys to filter out waste, and as gastrointestinal and immune systems by delivering nutrients and antibodies. 3. The placenta is the only disposable organ. 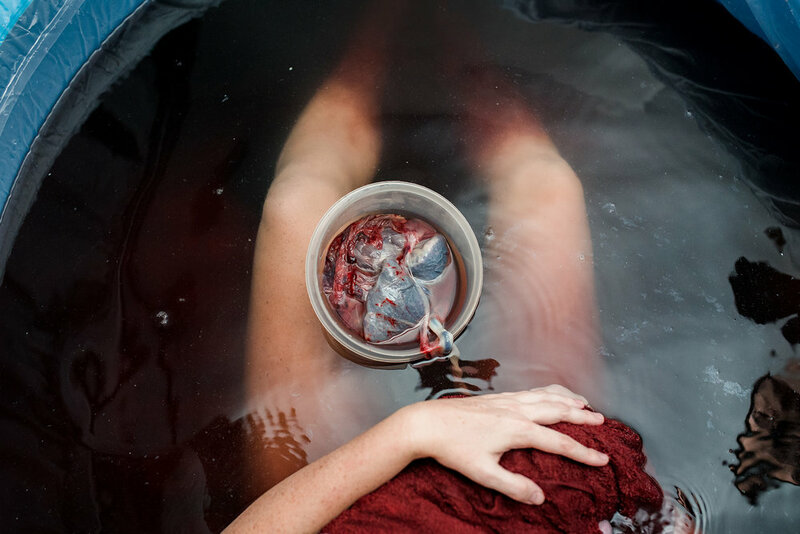 Although there are other organs that we can function fine without, the placenta is the only organ that naturally expels itself when it's purpose is fulfilled. Each pregnancy grows a new placenta to support that baby perfectly. 4. The blood of both mother and baby pass through the placenta, but never mix. Every minute, one pint of blood is pumped to the uterus, exchanging oxygen and nutrients via the placenta. The mother's blood and baby's never mix, however, if they did, the mother's immune system would create antibodies for the baby's blood in an attempt to get rid of it. Instead, the baby's blood and mother's blood pass through separate arteries in the placenta. 5. Identical twins may or may not share a placenta. Depending on when the fertilized egg splits, there may be one shared placenta, or one placenta for each fetus! If the egg separates before the formation of the placenta, there will be two, if it splits after, only one. 6. Fetal cells can transfer to the mother through the placenta. Fetal cells have been found in the skin, liver, kidney, and bone marrow of pregnant women. They may target and help heal injured areas, and there is evidence that they exist in higher quantities in diseased tissue. 7. Many women consume their placentas after birth. Anecdotal evidence shows that mothers who eat their placentas after birth reap numerous benefits, including more balanced hormones, increased energy and milk supply, a reduction in postpartum bleeding, and replenished iron stores. Read more about placentophagy and placenta encapsulation in Austin. 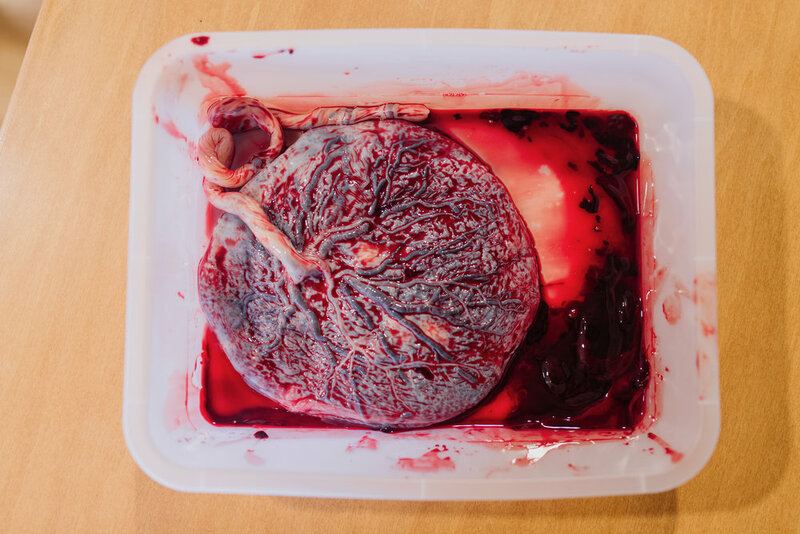 Did you get to see your baby's placenta after giving birth? Would you (or did you) have it encapsulated? Share your experiences in the comments!